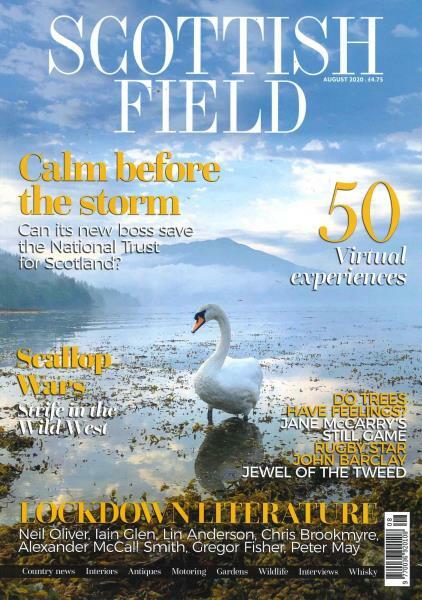 Scottish Field is a lifestyle publication from Scotland and is an award winning magazine. Ever since its launch, the magazine has gained popularity because of its fine editorial content which is entertaining, authoritative and informative. Some of the nation’s finest journalists and photographers are regularly contributing towards it, making it one of the country’s most popular lifestyle glossy magazines. Scottish Field magazine celebrates everything Scottish and covers all the topics which make Scotland such a fabulous and unique place to live and visit. It also carries in-depth interviews of top Scottish celebrities and icons from television, theatre, cinema or the visual and performing arts. With stunning photography and feature articles this is an essential read for anyone who has a passion for Scotland and Scottish life. Its a great magazine with fabulous photos and interesting articles. Probably easier to buy it off the shelf though.